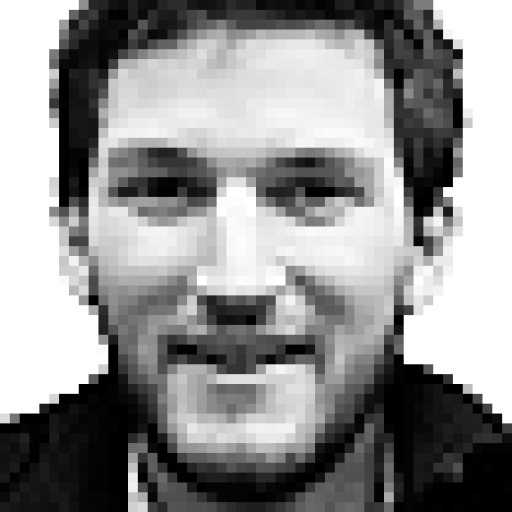 Thanks Jon – I’m glad you enjoyed it! Working on the next one now… If you like my style of writing and are interested in cycling, its history and a bit of a yarn, then check out my book ‘Climbs and Punishment: Riding to Rome in the Footsteps of Hannibal’. Cheers! I guess when I wrote that there would be “time bonuses up for grabs in the opening week” I meant just that – in the opening week. Further clarification needed?! Technically, it’s not a prologue – they have to be under 10km in length. But 14km of individual time trialling marks the lowest TT count since 1936 apparently. Definitely not a route to bring Wiggo out of exile. All stages in the opening week, I believe. Up until the team time trial. I don’t mind the bonuses so much – in the Tour, unlike the Vuelta, they shouldn’t have too much of a bearing on the final result, so we’re only talking about shuffling the pack a little to keep interest high in the opening phase of the race. SMALL ADDENDUM: Since writing this it’s been announced that John Degenkolb is in hospital battling a severe lymphatic infection following one of his crashes in the opening week of the Vuelta. 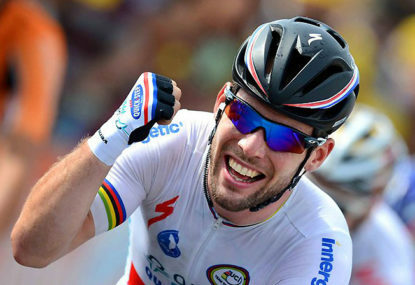 He’s confident he’ll be back in time for the Worlds, but this would obviously put his preparations on hold and so the rainbow jersey may be a bit of an ask for the German powerhouse… Either way, let’s hope he heals up fast and it’s nothing serious. Including yours truly? Quintana’s absence and withdrawal played a huge factor in this race – but that’s an entirely different story. I’m just trying to concentrate on the riders who are still left in the race – they’re the only ones who can win it now. Haha, indeed, yes, erm, right… Who would have seen that happening? 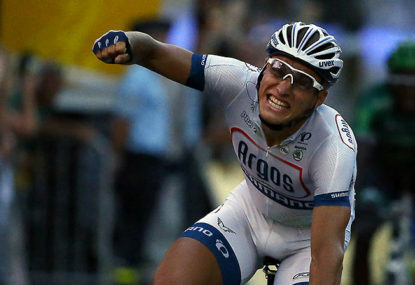 Poor Nairo… but he’ll be back. The race is still far from over. Contador looks supreme at the moment, but he still has some huge mountain stages to get through. We’ll have a better idea after the weekend. My next rest day blog will, of course, have an entirely new predicted top ten – probably equally rubbish! Win a stage, perhaps. But win the whole thing? 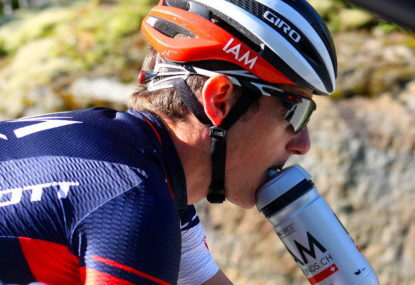 I think your mum’s been having too much of what Chris Horner’s been having. Well said, Lee. It was a wonderful Tour – and it sets things up brilliantly for the next chapter of the support we watch, do and love. How about one of those split stages of old: you do stage 21a – a time trial into Paris, finishing by the Eiffel Tower – then stage 21b, a 15-lap criterium-style race around a street circuit that incorporates the Champs Elysees. Now that would keep it exciting right till the end! For the photo opps, how about a subsequent lap or two when the winner can quaff his champagne – after all, a Parisian backdrop is far more photogenic than the flat outskirts of the capital city… Problem solved! 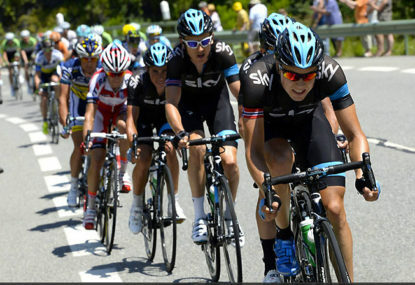 Should we change the final day of the Tour de France? Good call, JT-M. I feel it’s been a bit stale for a while now. Last year’s evening race did mix things up a little – as did having a winner who wasn’t Mark Cavendish – but on the whole, it’s three hours of processional riding on the (rather ugly) outskirts of Paris, before a routine bunch sprint. The problem is coming up with an alternative. The time trial worked in 1989 but the likelihood of it being such a tense affair as the LeMond vs Fignon battle is rare. Had it been a time trial on Sunday, Nibali would still have been able to ride in to Paris while sipping glasses of champagne, such was his commanding lead. I guess the only viable alternative is finishing in a city other than the capital city – as they do in the Giro – and then cutting down on the long transfers before and trying to keep it all balanced right to the end. This could work if they were to showpiece some wonderful locations – although the traditionalists would cause a fuss. What’s more – Paris is easy to get to for the tourists, plus a dream for those organising corporate packages. It’s a real tough one. But the finale this year did lack a certain pizzazz. Is that “own” as in: “Struth Daryl, that tackle was absolutely grouse – he completely owned him there”? Nice article, even if I’m unfamiliar with the term “it’s bloody grouse”. Is “grouse” Aussie street-speak for “great” or (as the youths of the UK say) “well bear”? 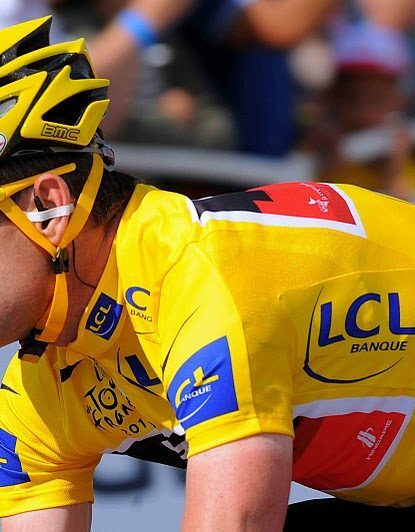 The problem with bike cams at the Tour is that ASO have total control of the images (through Euro Media France and France Televisions) and there are issues with broadcasting rights. Unless it’s something that France Televisions adopts for their own production of the host broadcast feed then it won’t happen, because ASO won’t let anyone else profit if they haven’t paid their fair slice. That said, not that we’ve used drones etc then the next logical step does seem to be bike cams. Given the tech ingenuity of the people behind the Tour international broadcast, you can bet that they’ll be targeting a way of doing this themselves and at an even better standard before they roll it out. It takes a clear mind to come up with: “the Miami native has a vice”. Nice. You’d have been hard pressed to see any of Wiggins during the Dauphine last week, Patrick… unless you were watching re-runs from 2012. ‘Short of form’ is perhaps a bit misleading. You’re right – he’s been riding well for most of the season in the races he’s appeared in – although, like many of the Sky boys, he’s cut down his anticipated race schedule because of the multitude of chest infections and other illnesses that seem to be doing the rounds. 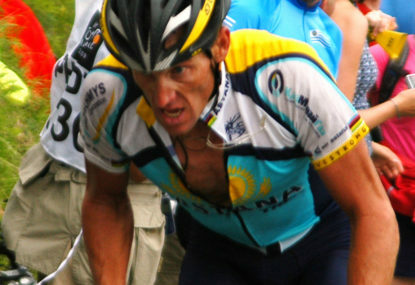 He was short of zip in the Suisse prologue but that may have been down to illness – ditto his time losses on stage three. 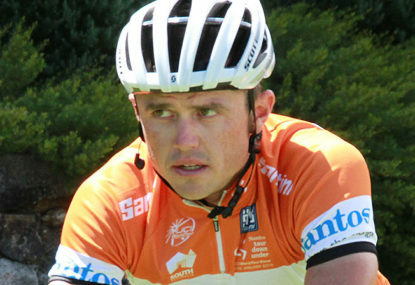 But word has it he was never going for GC in Suisse and already had his mind on the nat champs ITT and the commonwealth games, where he will probably ride on the track as well as the road events. So, perhaps more a case of deliberately tapering his form and riding as a training exercise. Even so, it’s fair to say that illness has hampered his form. 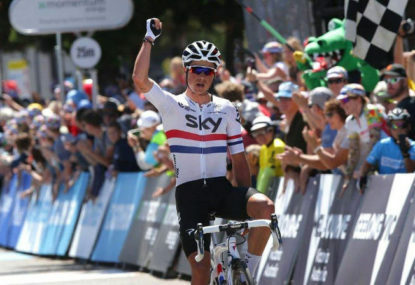 I think – as per his BBC interview – he entered the race knowing that even a solid showing wouldn’t be enough to dislodge any of the guys Brailsford’s going to take to France next month. 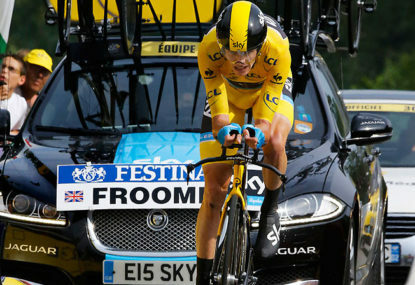 Porte will go to Yorkshire even though he’s a shadow of the rider he was last year. 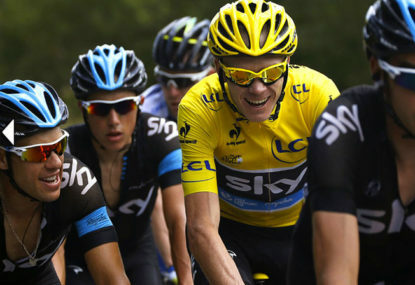 The fact that he’s Froome’s best mate on the team is enough to guarantee him entry. And who knows, he may ride himself into form in the first week. 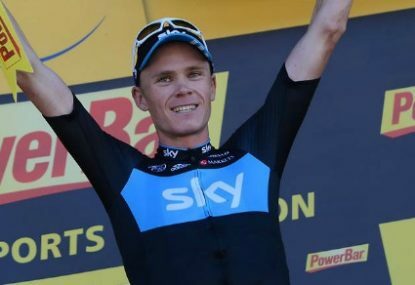 Just don’t think Sky can expect him to podium or even top ten while riding for Froome. Thanks Jonty – glad you enjoyed it. Thought the piece would encourage a bit of debate – but perhaps everyone simply just agrees, like you, with the closing comment! It’s like the reverse of his 2011 Tour win, where he could afford to limit losses in the mountains and then deliver the killer blow in the final ITT. This time he needed to have the buffer first… but now it’s already disappeared it may prove tricky. Good luck to him, though. Quintana, perhaps. Uran seemed to play quite a big card today…! Haha – was waiting for someone to pick up on that one… TBH, was merely being a bit provocative. It was clearly a race situation – although riders have stopped / slowed for much less. 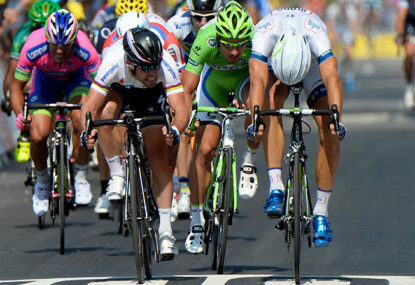 That said, GreenEdge drove pace too – and they had loads of men down. Think Evans knew if was too good an opportunity to turn down – and just the kind of crash that derailed his previous Tour efforts prior to his 2011 win. What goes around, comes around. 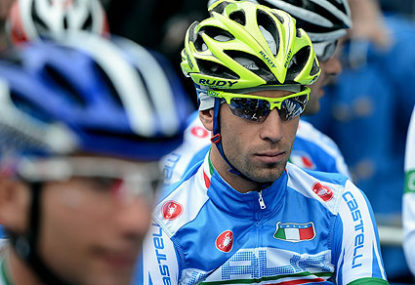 Hi Marcus – you make some very good points regarding Uran, esp with regards to the Stelvio and Gavia. 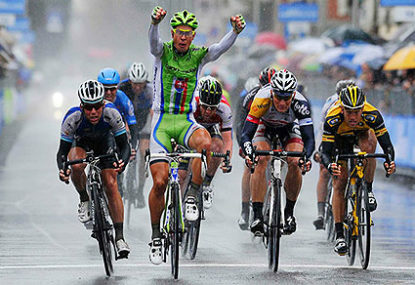 But while he worked for Wiggins at the start of that Giro, I do remember that stage when Wiggins came off on the wet descent and Uran was the only Sky rider who kept on riding in the main group. By then he probably knew that he was top dog. 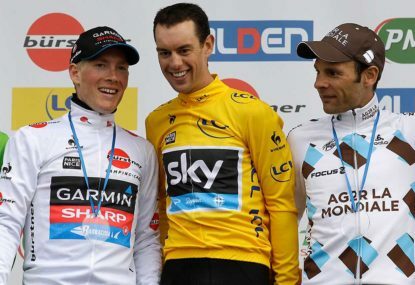 Also, there was a considerable gap between him and Nibali, so his was a very definite second place. Logically, Quintana should probably finish above him – although Uran is a relatively old head at Grand Tours and the pressure may get to Nairo. But who knows – as you say, predicting is a mug’s game. 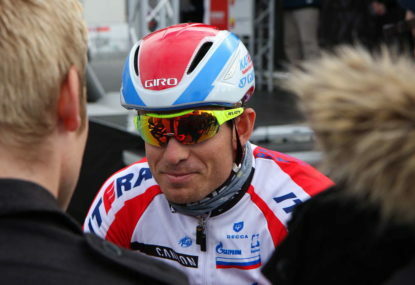 Before the race, I also said that both Hesjedal and Roche wouldn’t finish in the top ten. Just because they suffered from i) Martin’s crash, and ii) that major spill in stage six, doesn’t mean that I am suddenly a guru as seeing the future.